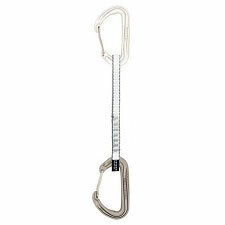 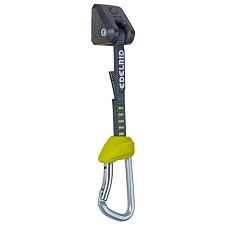 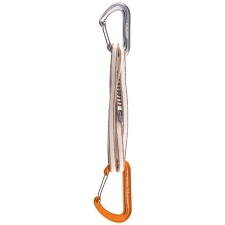 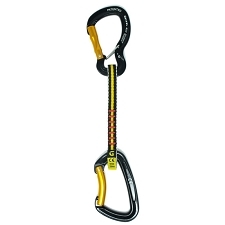 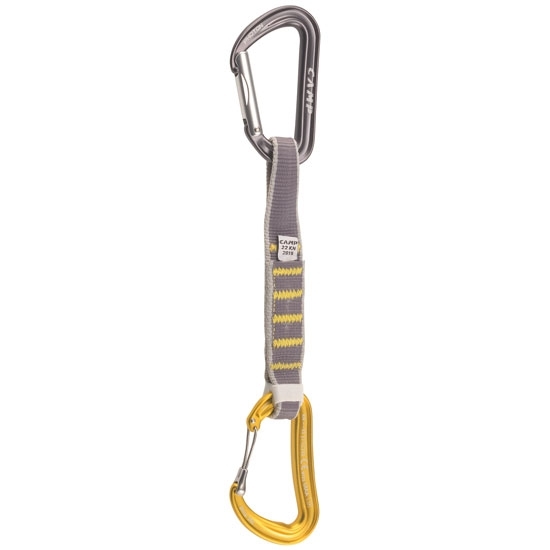 A sophisticated quickdraw that is designed for sport climbing at the highest level. 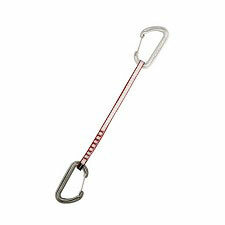 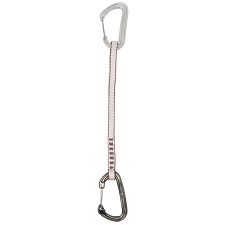 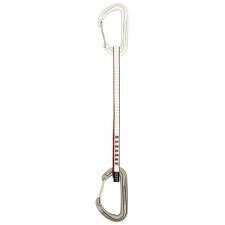 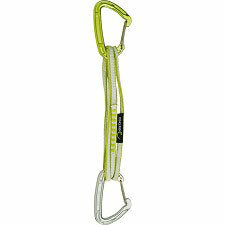 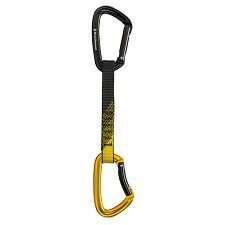 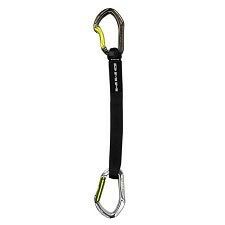 Equipped with a Photon straight gate carabiner for bolts and a Dyon KeyWire carabiner for the rope end. 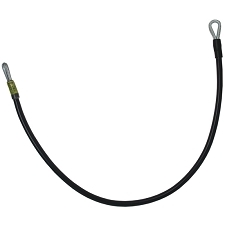 Uses a proprietary two−part gate to combine the benefits of smooth wire gate action with a keylocking closure. 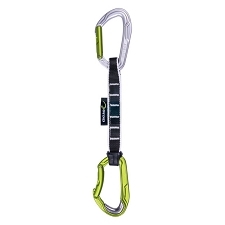 This unique combination gives it both high levels of performance and safety. 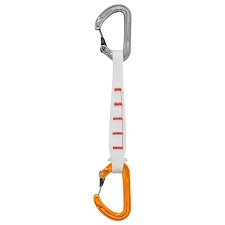 The curved I−Beam construction on the spine keeps the weight to a minimum while providing a high level of rigidity and an incredible open gate strength of 11 kN. 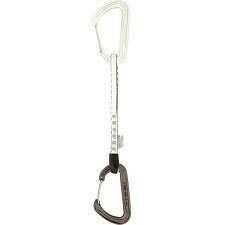 The patented SphereLock closure is an upgrade to the traditional keylock system that minimizes play between the gate and nose for enhanced safety and performance. 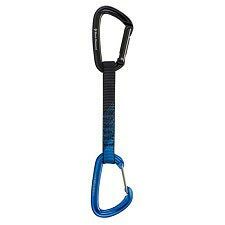 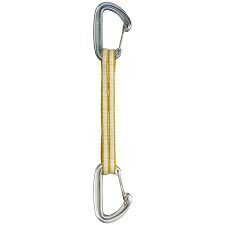 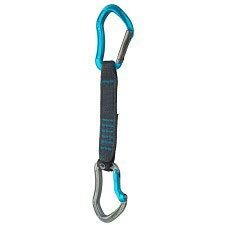 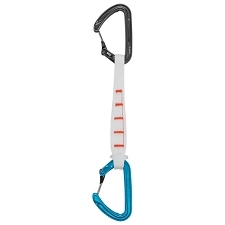 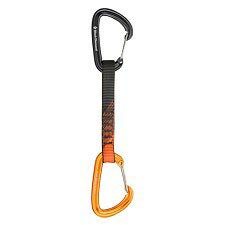 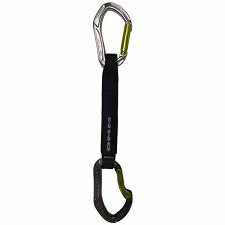 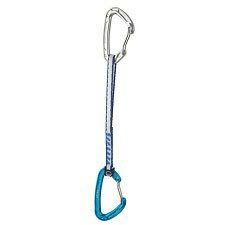 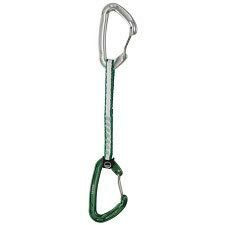 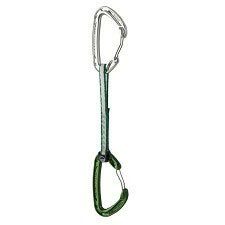 Like the biners, the Dyon Mixed Express KS also uses sophisticated dogbones with the patented Karstop Evo carabiner retainer on the rope end and variable−width webbing that prevents the draws from twisting and makes them particularly easy to grab while projecting sport routes. 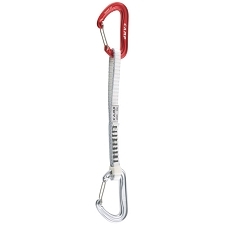 Customer Opinions "Dyon Mixed Express KS 18 cm"